Creating a clean, safe and healthy community along Druid Hill Park in Greater Mondawmin, West Baltimore. Time: 6-8pm. Join us to make a difference! T.E.A.M. - Together Each Achieves More! 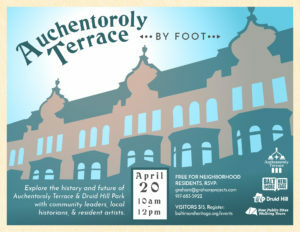 Residents and visitors are invited to join the New Auchentoroly Terrace Association and Baltimore Heritage for the Auchentoroly Terrace by Foot walking tour Saturday, April 20th, 10am-12pm. 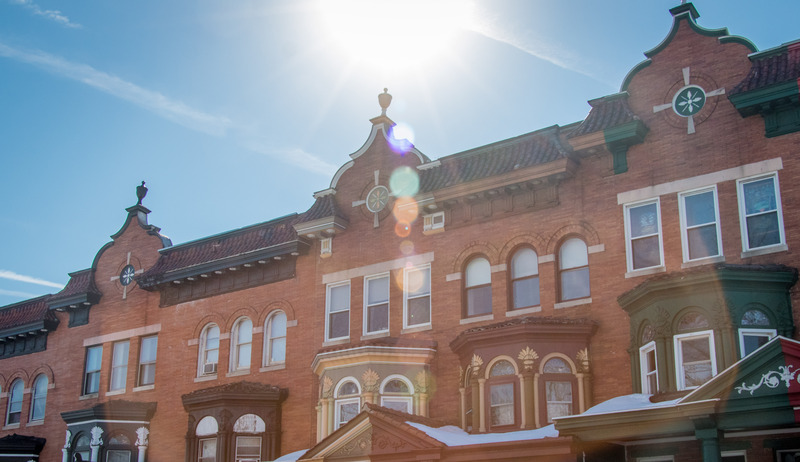 Learn about the history and future of Auchentoroly Terrace and Druid Hill Park from community leaders, local historians, and resident artists. The tour is free and open to neighborhood residents. Visitors are cordially invited to purchase tickets through Baltimore Heritage. After 40 years of neglect, the mansion at 3400 Auchentoroly Terrace is being rehabilitated into a 16-unit apartment building, including three accessible units. The renovation will restore many of the elements that made it a neighborhood showcase. To celebrate the beginning of construction community members are invited to a symbolic ribbon cutting. 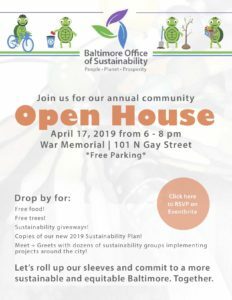 On Monday, March 4, 2019, at 1 pm, City and state officials, community leaders and Baltimore building historians will gather to describe the process that went into what will ultimately be a showcase for this historic neighborhood. 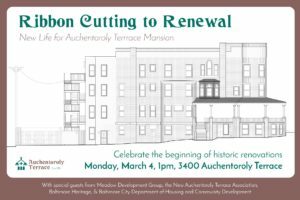 Join us to mark this historic revitalization along Auchentoroly Terrace! 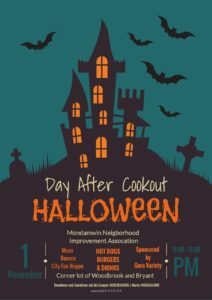 The Mondawmin Neighborhood Improvement Association is hosting a Halloween Day After Cookout on Thursday, November 1, 3-5:30pm, at the corner lot of Woodbrook & Bryant. Bring the kids! Special thanks to Gera Variety Store for sponsoring this event in the community. The New Auchentoroly Terrace Association is pleased to welcome a vibrant, new mural to the neighborhood: "DPW Every Day". The new mural was commissioned by the Baltimore City Department of Public Works and Baltimore Office of Promotion and the Arts. The new artwork is nine panel mural, celebrating the civic contributions of the Department of Public Works employees that benefit the quality of life across Baltimore. 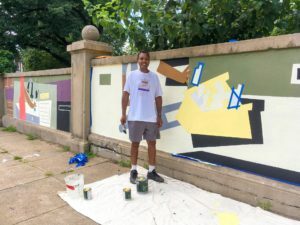 The mural project was lead by celebrated teaching artist and muralist, Gary Mullen, with the assistance of twelve Baltimore City youth, employed through DPW’s summer Youthworks and YH20 job training programs.